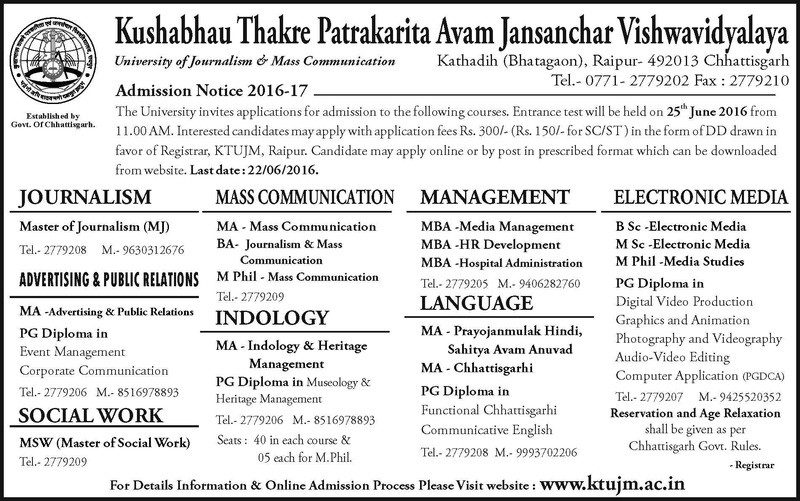 Please go through the Information Bulletin and Detailed Notification at our website: www.ktujm.ac.in . Apply Online using the "Apply-Online button" given at the bottom. 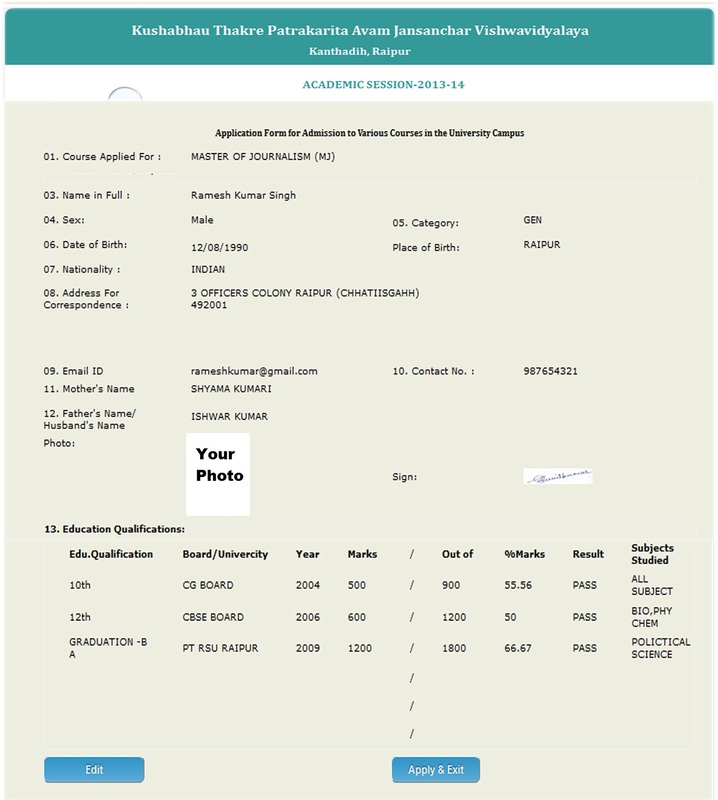 The eligible candidates, in their own interest, are advised to keep photocopy of sides of the completed Application Form (hard copy), Certificate of Postage, Challan copy (as a proof of fee deposit) and three identical copies of the passport size photographs which has been affixed on the Application Form. Candidates should note that their candidature is strictly provisional. Only online application followed by hard copy (along with requisite enclosures) will be considered, as per terms and conditions including eligibility criteria, as notified in the Notification. Any Online Application, whose completely filled in hard copy is not received in Examination Unit within time frame, will not be entertained. Incomplete application / application submitted in any other format or application (hard copy) received after the last date will be summarily rejected and no correspondence will be entertained in this regard. Hence, the candidates are advised in their own interest to apply early enough to ensure timely receipt of their applications by the Examination Unit on or before the closing date. IN ORDER TO AVOID LAST MINUTES RUSH, THE CANDIDATES ARE ADVISED TO APPLY EARLY ENOUGH. KTUJM WILL NOT BE RESPONSIBLE FOR NETWORK PROBLEM OR ANY OTHER SUCH TYPE OF PROBLEM. 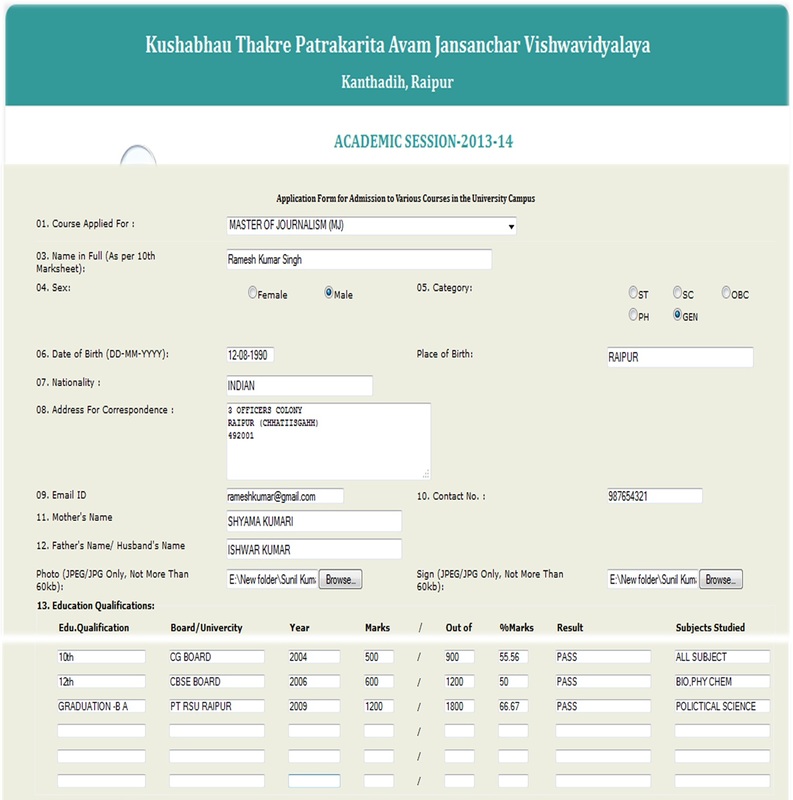 A COPY OF THIS FORM ALONG WITH THE COUNSELING/ ENTRANCE TEST Rs. 300/- (Rs. 150/- for SC/ST) IN DD, PHOTOSTAT/ SCANNED COPIES OF SCHOOL / DEGREE CERTIFICATES, AND CERTIFICATE INDICATING DATE OF BIRTH, BE SUBMITTED AT THE TIME OF COUNSELING/ ENTRANCE TEST.